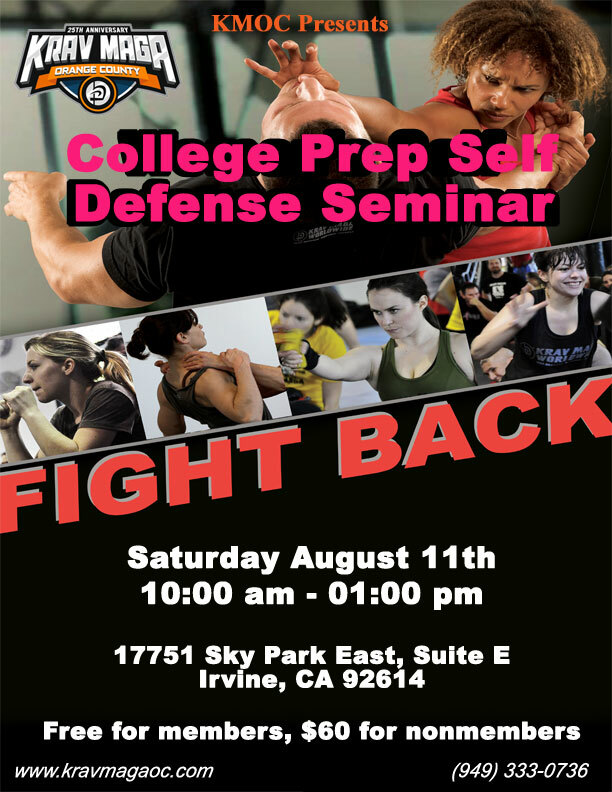 Krav Maga of Orange County is hosting 3- hour College Prep self-defense training seminar . This Training will be held on August 11th, from 10:00 - 13:00 am at the Irvine location. The seminar is free for members and $60 for nonmembers. 40 spots available and 0 wait list spots available.